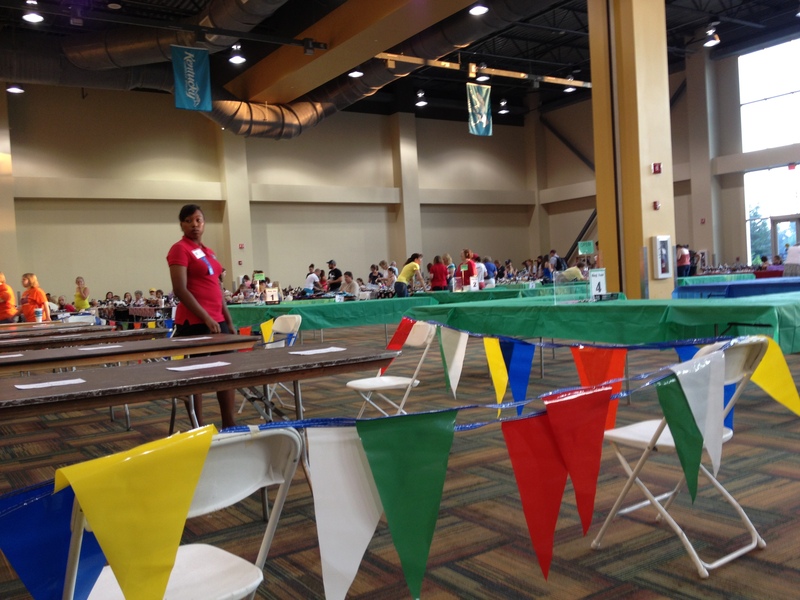 Breyerfest is a weekend full of exciting events for model horse lovers from all over the world! There’s truly something for everyone, from guest horses and performances, to some of the most challenging shows in the world. These shows bring out some of the most incredible horses and competition to compete for the ever coveted blue ribbon and sometimes, even a bit more! Thursday of Breyerfest is a bit of an informal day with events starting in the evening at the local Clarion hotel. One of those events is Breakables Live. This show brings out all things porcelain to compete! This is the one show that Breyer hosts that allows horses made by others. The competition is fierce to say the least in this show full of amazing art. Friday brings arguably the most competitive show in the world to Lexington, the Breyerfest Open Show. This NAN qualifying show is intense and tough with stiff competition. Winning any ribbon is truly a testament to the horse. 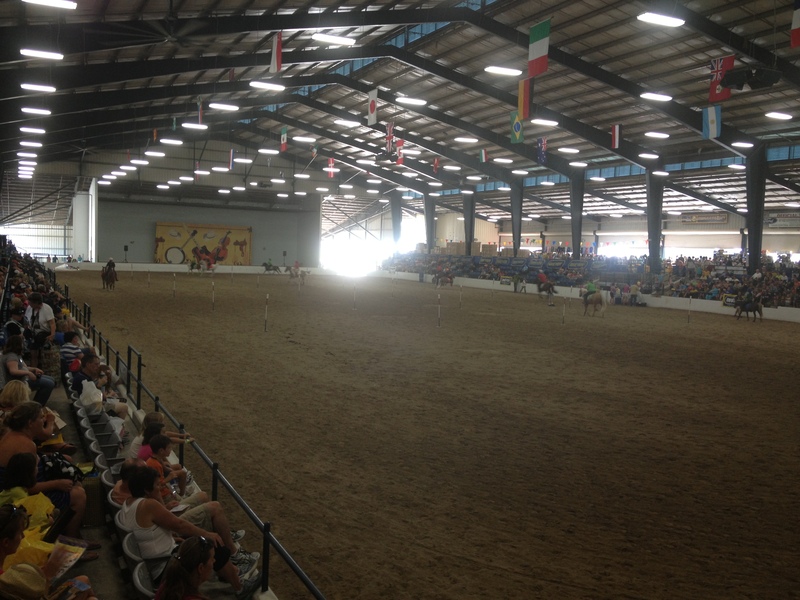 Collectors take over the Kentucky Horse Park Alltech Arena with their show horses for a full day of competition! There are classes for performance, customs, original finish, collectors classes and collectibility! 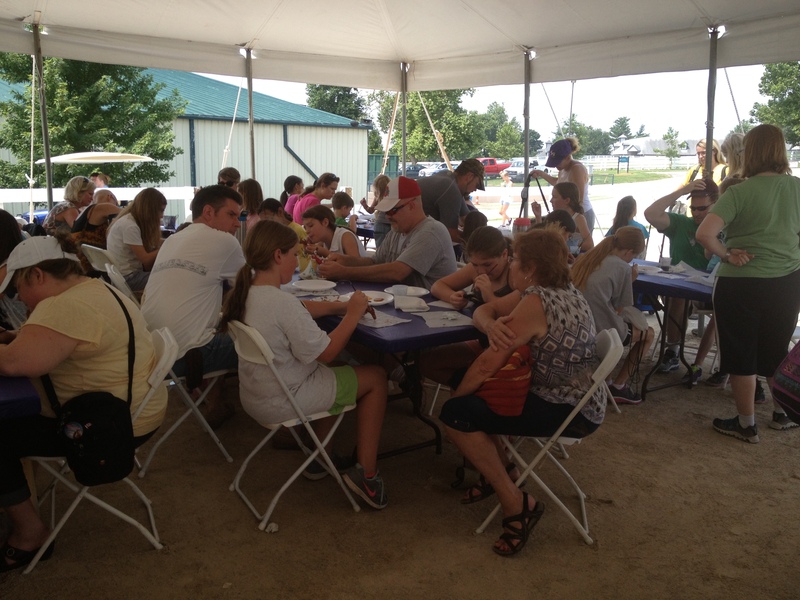 Saturday, the Alltech Arena welcomes the Breyerfest Children & Youth Show. This incredible show is the largest of it’s kind. What is actually two shows in one, one for children and one for youth, the BFCYS is a tough competition as well giving the open show a run for it’s money! This show brings out children from all over the country and world for their own chance at a coveted blue ribbon. 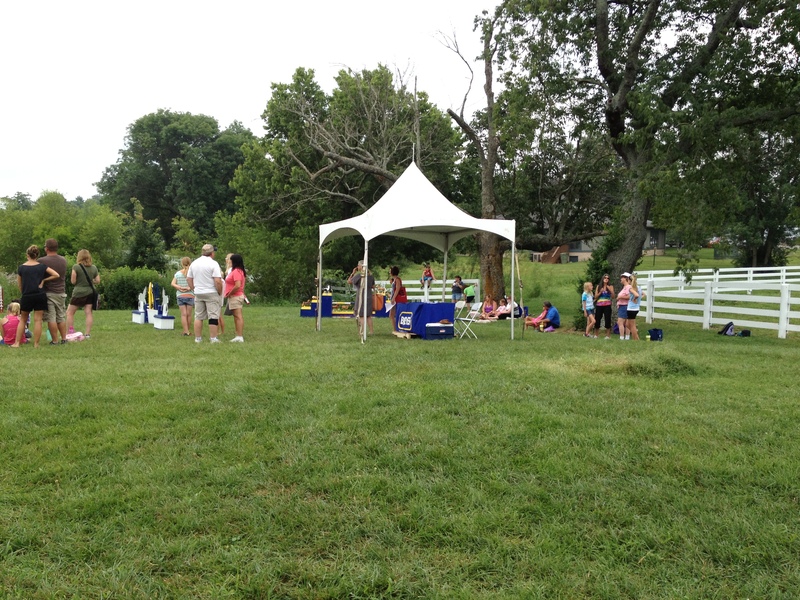 If you can’t make it to Breyerfest to give one of their shows a chance, Golden Oak Stables has shows throughout the year to give you a chance to show your horses! Why not give it a shot? 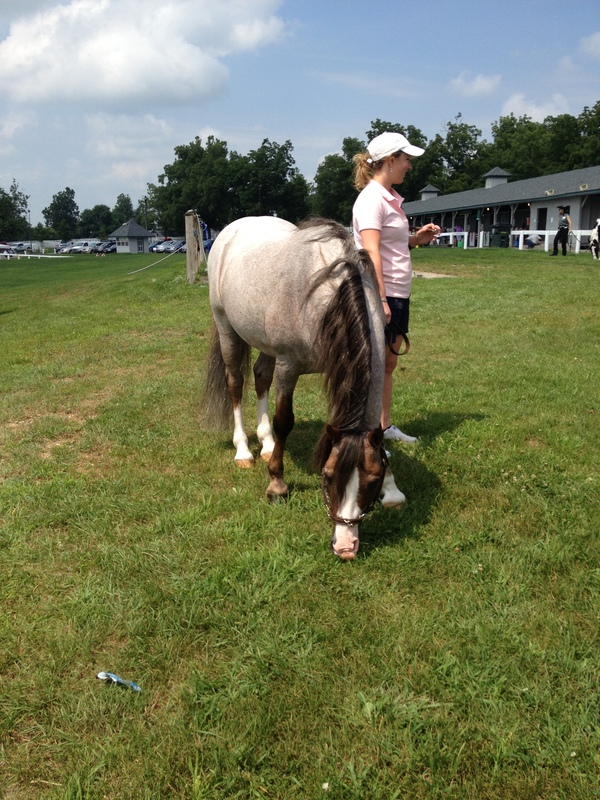 Each year Breyer welcomes a group of real life superstars to attend Breyerfest as a Guest Horse. These horses span the world of horses and disciplines bringing together a group of horses that have experiences beyond words! This year was no different and the guest horses easily made the crowds cheer! 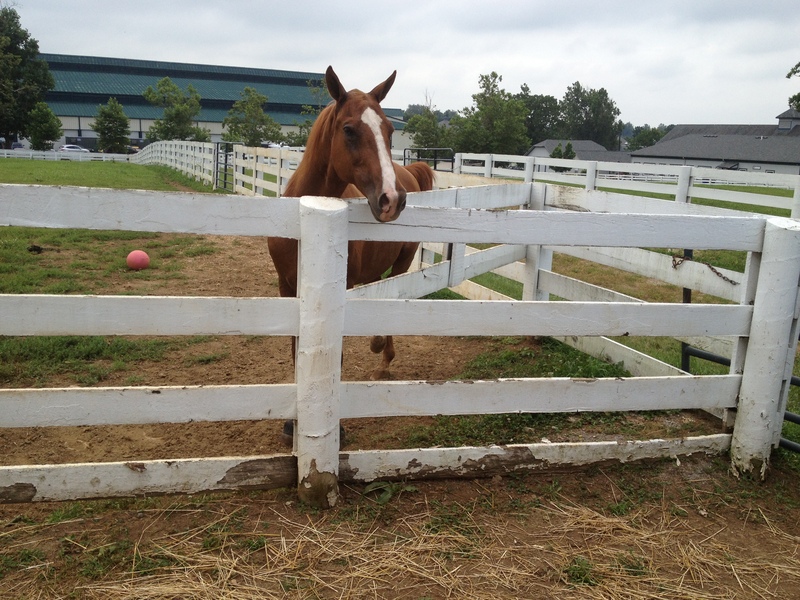 There is one guest horse, every year, who is bestowed the honor of Celebration Horse. This horse is given the honor of being the guest of honor and even having a Breyer model made after them that each three day ticket holder gets to take home. This year that honor went to Smart and Shiney! This gorgeous palomino reining horse is owned by the famous Lyle Lovett and trained by the famous Tim McQuay! Smart and Shiney showed Breyerfest attendees all about the world of reining with his expert skills and precision and no one could miss his stunning looks and famous long mane! Breyer also welcomed horses that have already found their way into some stables of collectors and Golden Oak Stables. 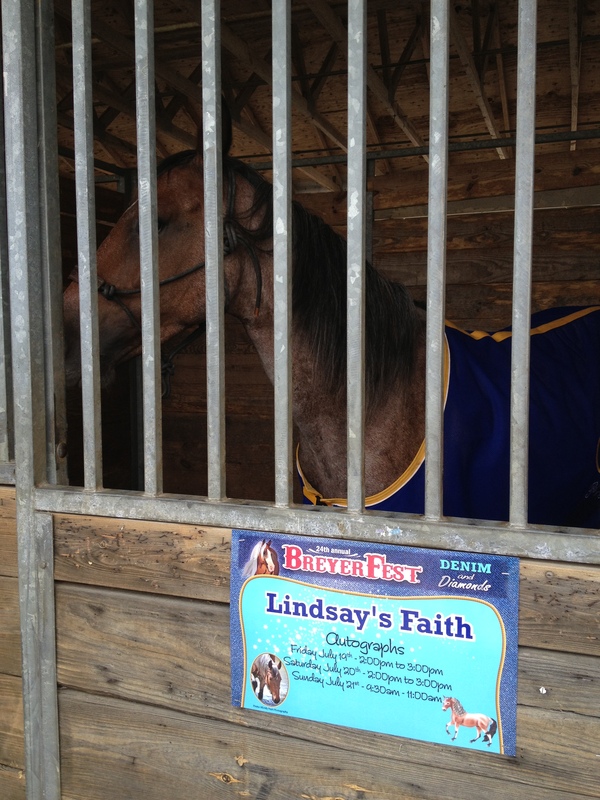 Lindsay’s Faith is a mustang mare that is known as America’s Favorite Trail Horse and her and her barn mate Flying Colors brought the story of a wild mustang turned into a champion to all. Topsails Rein Maker, the all time leading money maker for reining cow horses was there showcasing his talents for all. Brookside Pink Magnum, a favorite of so many brought his friendly self to Breyerfest and never missing an opportunity for a photo! 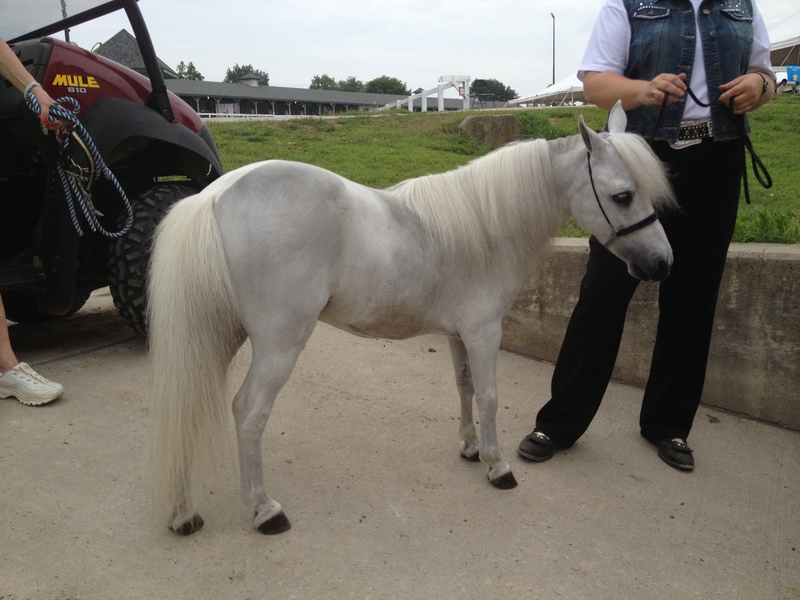 There were also guests like Tennessee Titan, a miniature donkey and Lady C a Spotted Saddle Horse who were honored as guests at Breyerfest as well as dozens of other equine acts throughout the weekend. 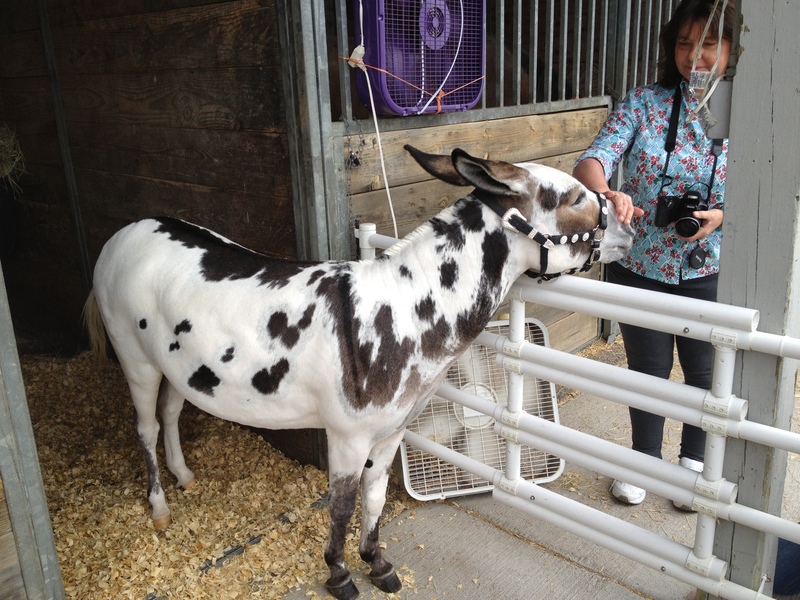 If you could say anything about Breyerfest, it would be that there was not any lack of amazing equines! 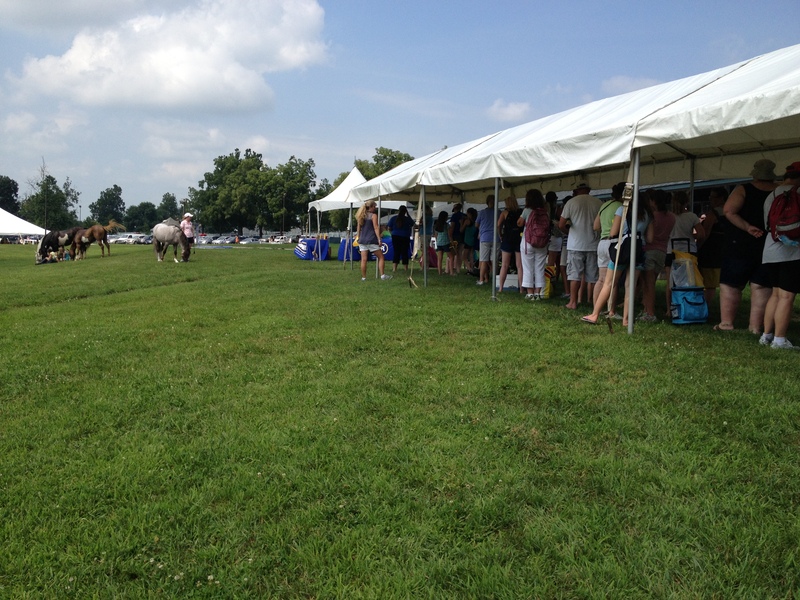 This past weekend the Kentucky Horse Park in Lexington Kentucky hosted Breyerfest 2013. With record breaking crowds and amazing events all weekend long, the 24th annual Breyerfest is sure to go down in the record books as one of the most memorable Breyerfests ever! 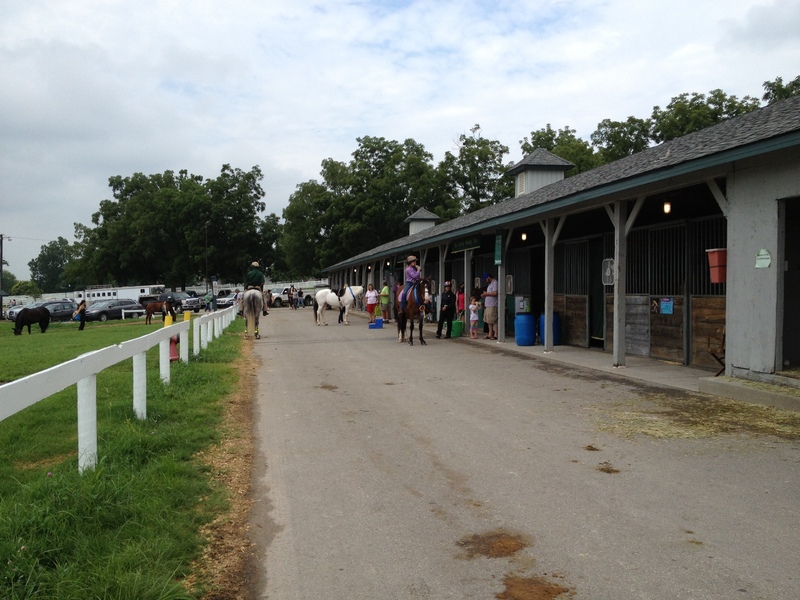 Friday started off early for most attendees gathering at the entrance to the famed Kentucky Horse Park. 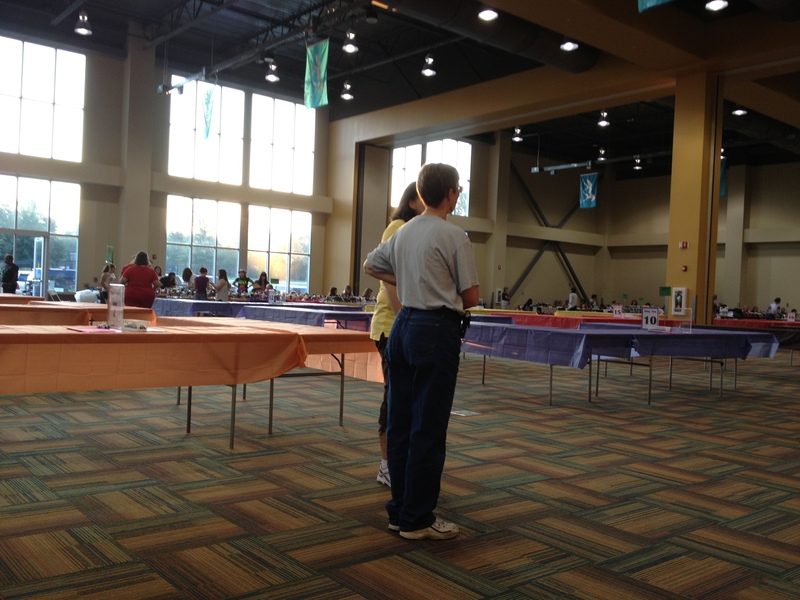 Collectors waited anxiously in lines that stretched across the entrances and through the parking lot for their chance to experience Breyerfest. Attendees got their chance to meet and greet as they waited with other collectors and once inside with some of the most famous and beloved real horses, trainers and artists in the world! Favorites like Stablemate painting and the mini jumps were on hand for entertainment throughout the day and were popular all throughout the weekend. The real horses also had their hands full performing throughout the weekend for sold out crowds! There was hardly an empty seat in the arena for any of the performances which ranged from informative breed demonstrations to exciting tricks and thrills! Collectors turned out in force at the famous Kentucky Horse Park Hall Of Champions for the charity auction on Friday night where 28 lots of test, one of a kind and rare models were auctioned off to benefit a large group of charities. 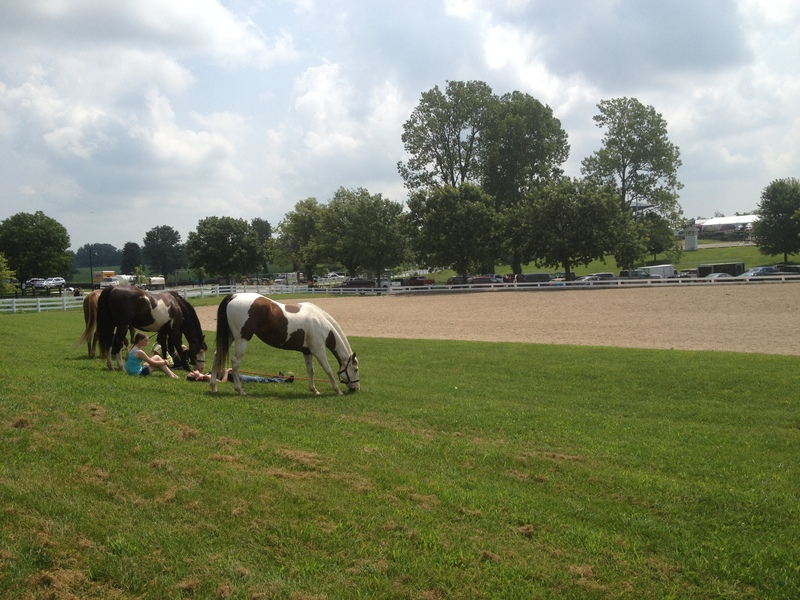 All in all, it was an amazing Breyerfest for all full of fun, friends, and of course lots of horses! The annual pilgrimage to Lexington Kentucky has already begun for so many collectors to celebrate the 24th annual Breyerfest! This three day long event in July has brought collectors all over the world to Kentucky to celebrate the love for Breyer horses! 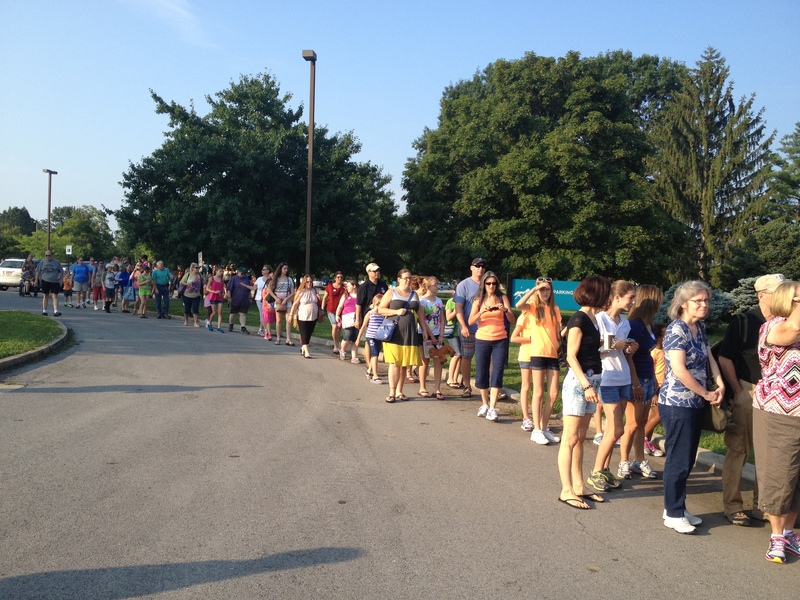 Nearly ten thousand collectors from all over the world are on their way to Kentucky for Breyerfest 2013. This year Denim and Diamonds reign supreme with horses that remind us all of the fancy world of Western. The celebration model is no other than Lyle Lovetts’ horse Smart and Shiney. This stunning palomino reiner won a bronze medal in the 2010 World Equestrian games and is being presented by another reining super star, Tim McQuay! Breyer has also created the feel of Denim and Diamonds with a fun country concert on Saturday night that is preceded by the Rhinestone Cowboy Contest! If you’ve ever experienced a Breyer contest before, you know it will be amazing. 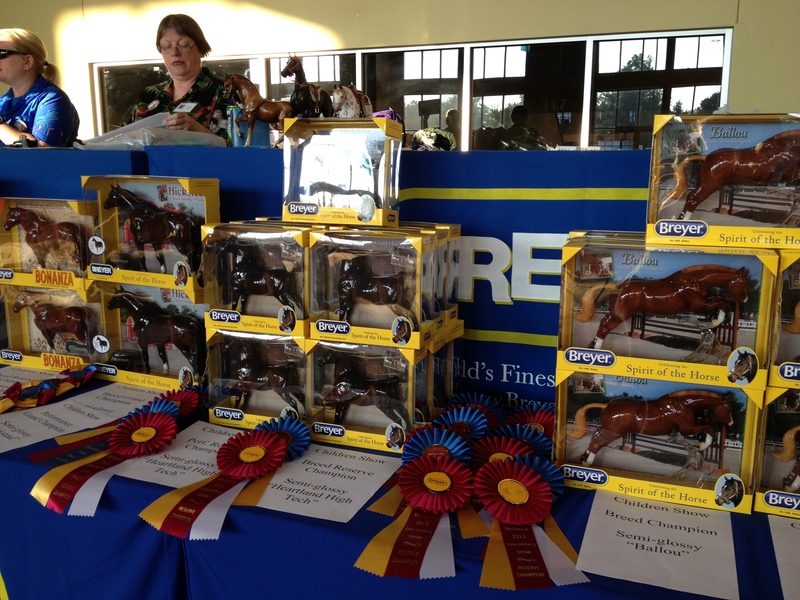 Breyer collectors always bring out their best for a chance at a prize! There’s also the Music City Mashup contest where collectors are asked to make their best diorama staring a Breyer. Speaking of competition, there three shows that let all kinds of collectors compete for a coveted blue ribbon. Thursday starts off with Breakables Live, a show for all china and porcelain horses. 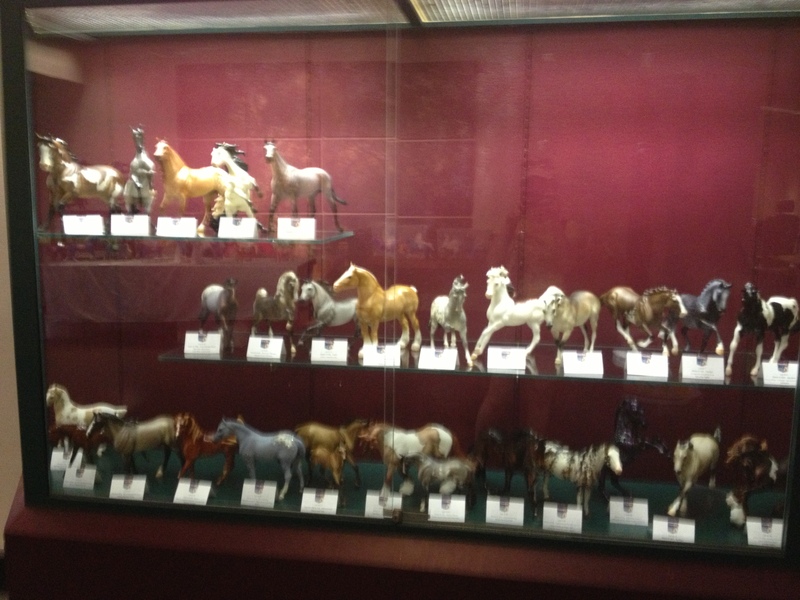 One of the largest all porcelain shows in the world Breakables brings an amazing array of horses out from collectors. Friday brings the Breyerfest Open Live show to the Alltech arena. The Open show is where some of the stiffest competition of the whole year happens with collectors competing for not only a blue ribbon, but NAN cards as well. 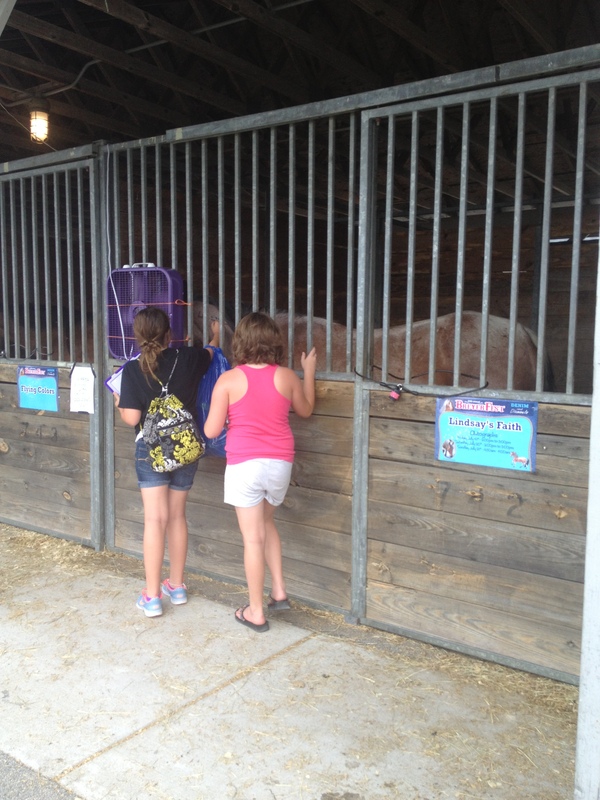 Saturday the Alltech arena welcomes the Children and Youth showers of the Breyer horse world. This show hosts over 150 entrants between the Children and the Youth and the competition they bring is fierce to say the least! Even if you aren’t able to make it to Breyerfest, Golden Oak Stables and Stable News will bring you all the news, so stay tuned! Every collector gets excited to add a new horse to their stable. The fun of bringing home a brand new addition to your barn is reason for anyone to get excited. Many collectors have things that they like to do when they add a new horse to their stable to keep their collection organized and updated as well as having fun with their new model, what about you? The first step for almost every collector is taking their new horse out of the box. It may seem silly, but it’s an event that can bring excitement to even the most seasoned of collectors. Unboxing that new horse is an excitement all it’s own! Once you get your new model out of the box, some collectors give them a dusting or bath to get them on tip top shape for their collection display. Finding a place in your collection is the most common next step. Re-arranging models and making room for your new horse on shelves or in the stable can take time, especially to find it that perfect spot! Some collectors like to also do things to keep their collection organized when they get a new model. Taking photos of your new horse will help to document your collection as well as have photos on hand to share with friends, family and even compete in photo shows! You can also have fun by creating scenes with your new model and experimenting with tack and props to see how your new horse looks. If you keep a database for your collection, when you first get a new model is a great time to put that information into your database. If it isn’t done right away, collections can become unorganized and overwhelming depending on the collector. So what do you do when Golden Oak Stables delivers a new model to your door? Do you have a series of steps to bring your new horse into your collection? If not, why not start? Everyone loves the story of an underdog that finds a way to win despite it all and for horse lovers this is no different. This summer Golden Oak Stables brings you a horse with one of the most famous rags to riches stories that the equestrian world has ever seen, and once you’ve heard about it, you’ll be a fan as well! Snowman is a beautiful flea bit grey horse with a big story. This stunning gelding’s story starts in Pennsylvania where the trainer Henry de Leyer went looking for horses to school and for his students to compete with. Snowman caught de Leyer’s attention as he was being loaded onto a trailer that was headed to the slaughterhouse. Bought for $80, Snowman’s story start’s there and has never looked back. Snowman found lots of love with de Leyer’s students and he quickly learned the ropes and was a popular mount in the barn. A local doctor purchased Snowman soon after but after he kept jumping pasture fences he was returned to de Leyer’s barn where he decided to see what Snowman really had to offer. With training in Show Jumping, Snowman quickly found his talent and began competing in some of the largest shows in the country! Snowman made a name for himself when he won the National Horse Show in 1958! Breyer’s Snowman is a stunning portrait of this beloved gelding. The popular Idocus mold has been painted to the gelding’s well known flea bit grey coat and stands proud and strong. With light shadings and bi-colored hooves he’s a perfect portrait of a horse that has gone down in not only history but in the hearts of many! You can bring a little piece of history and a wonderful story to your barn with Snowman who truly is a rags to riches story like no other! Breyer Horse Collecting: What To Do With The Boxes? A subject that has plagued collectors for many years now is that of what to do with the boxes. There’s no right answer to the question, but there are many different options when it comes to that age old question. When you get a new model there’s nothing more exciting than seeing that bright yellow box with the clear window and your model inside. It’s hard to not resist the temptation to tear open the box and get your horse in your hands right away, but the question is, what is best to do with your horse, and the box. Some collectors choose to keep their models in the boxes, especially rare or vintage models. This can keep them in very good condition, but can sometimes cause damage as well. 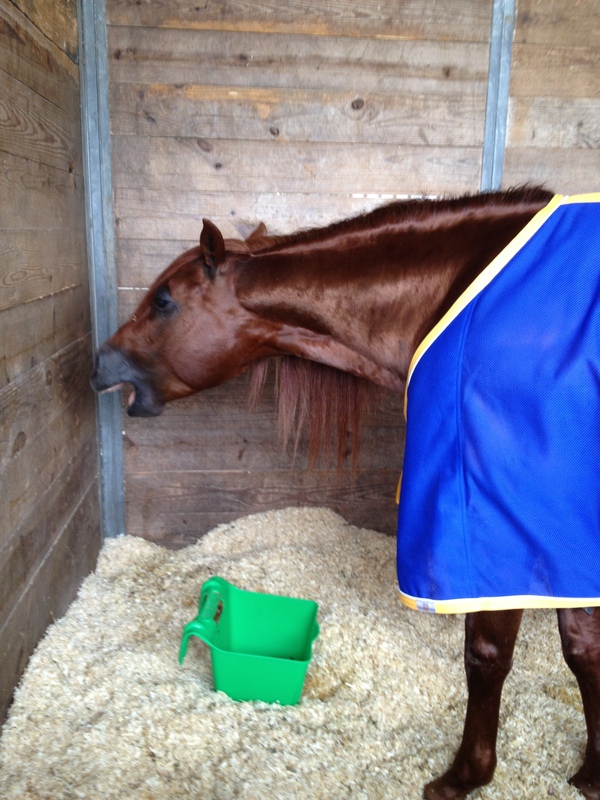 If the temperature is too hot or cold the dyes from the boxes can transfer onto the horse. This can be prevented by keeping your models in a climate controlled area. You can also slip a plain white paper towel between the horse and box to help. The other concern is box rubs. If a model gets jostled around too much in it’s box it can cause small box rubs. The only way to prevent these is to keep your horses in the box in a safe place where they won’t fall or be knocked around. Other collectors choose to open their models but keep the boxes. Their models get displayed on shelves and their boxes get put into storage . Models can be shown out of their boxes and can be viewed from all angles as well as played with! This is a popular option for collectors. Some collectors though choose to keep none of their boxes and only collect the models inside. This opens up more space in their collection for horses. Whether you choose to keep your models in the box or out there’s always that exciting feeling you get when you see that yellow box arrive from Golden Oak Stables. What kind of collector are you? You are currently browsing the Stable News blog archives for July, 2013.